It's Dana here with another card for Wednesday. Here is what I came up with. 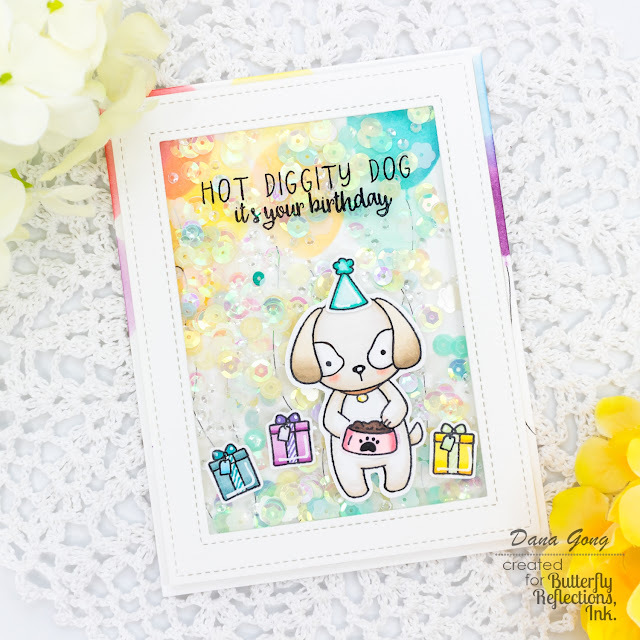 To start, I stamped cute images from Neat and Tangled Puppy's Favorite Things stamp set and colored them with Copic markers. I drew simple line around puppy's left eye using Copic multi liner 0.1. I then gave highlights to all images using Singo White and fussy cut them out using scissors. The reason why he looks surprised rather than happy is he just realized his first number of age is changed! Lol. I then created background by stenciling. 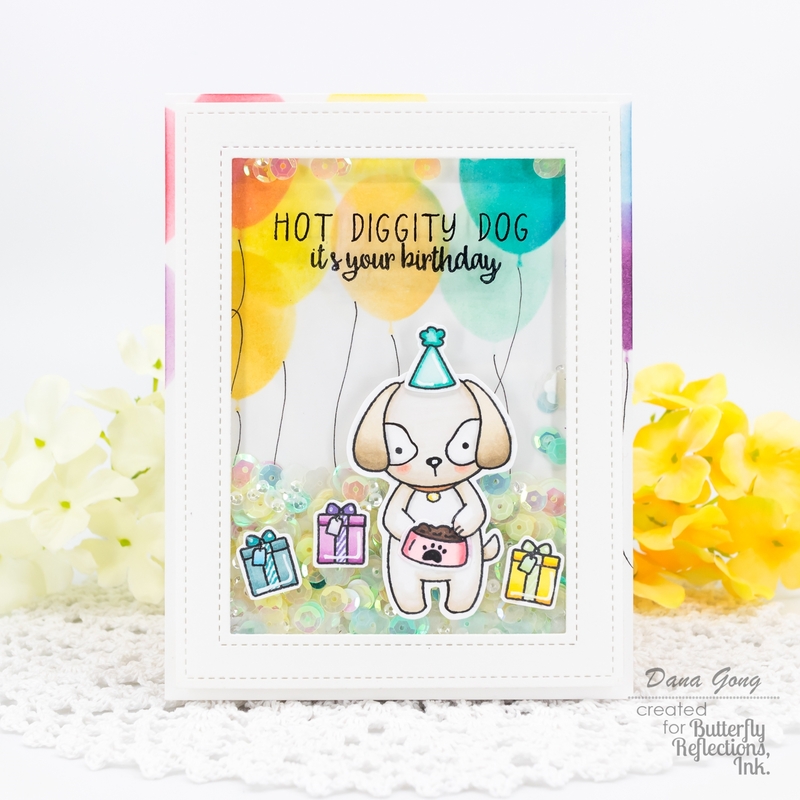 I used Neat and Tangled Balloon Duo Stencil and various Distress inks. I drew balloon strings using Copic multi liner as well. For shaker frame, I made it by die cutting two frame dies from Lawn Fawn Stitched Rectangle Frames. I taped acetate backside of it and stamped sentiment from same stamp set using StazOn Jet Black as shown. I built a shaker with foam tape and pulled out various sequins in my stash on the stenciled panel and combined it with frame I just created. I finished off this card by mounting the shaker to A2 sized white card.